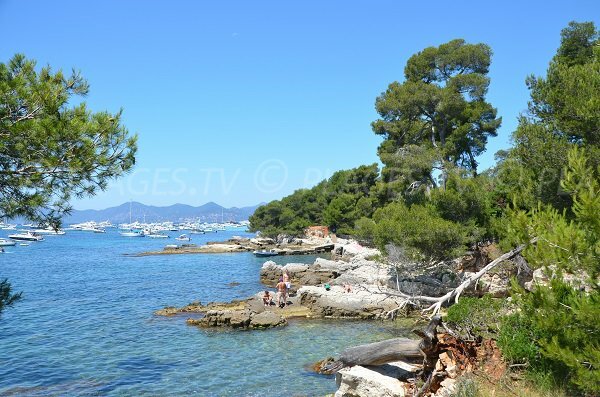 In the south part of the island of Sainte Marguerite (islands of Lerins), the length of the property of the Grand Jardin, we find several small pebblestone coves. 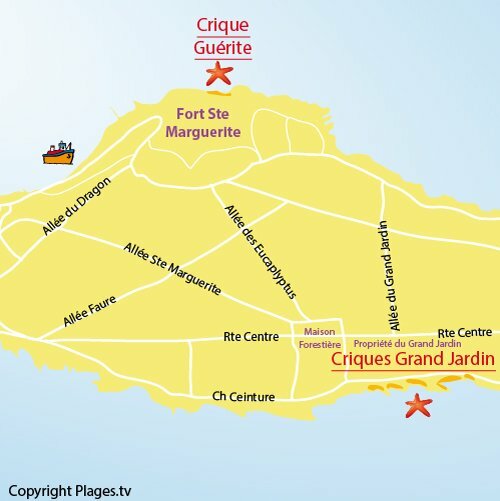 For us, the most pleasant and most original is situated after the property going toward the east. It has a small dock. One can lay down on the pebblestones or find a place on the smooth rocks which surround it or directly on the dock. The dock is situated after the property, near the first alley. 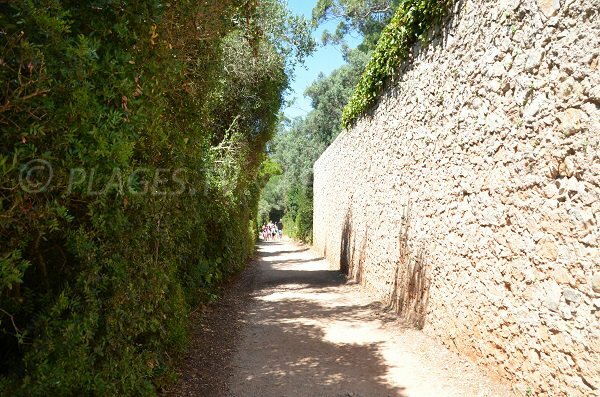 The simplest way to get to these coves from the port of Sainte Marguerite is to take the sentier des Eucalyptus and then to go around the forest house on the left. The property of the Grand Jardin can be recognized by its large stone wall. 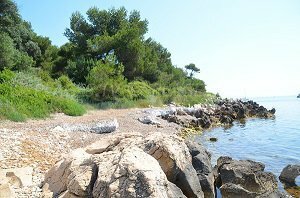 We are at the first cove before the private property of the Grand Jardin (before the large stone wall when coming from the west). Cove rather calm with a few rock formations. 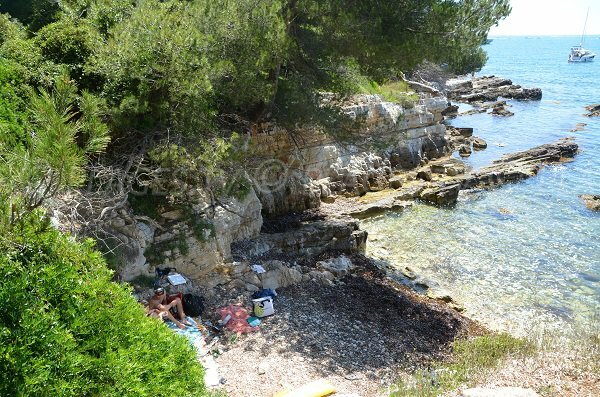 Continuing along the private property, we find some small coves. 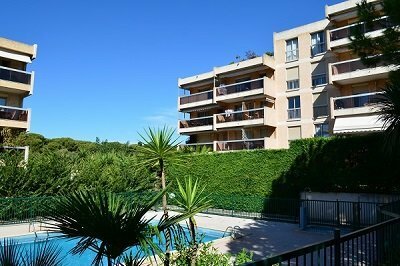 This one is situated after the door of the property of the Grand Jardin. Narrow, one must be the first to reserve it! 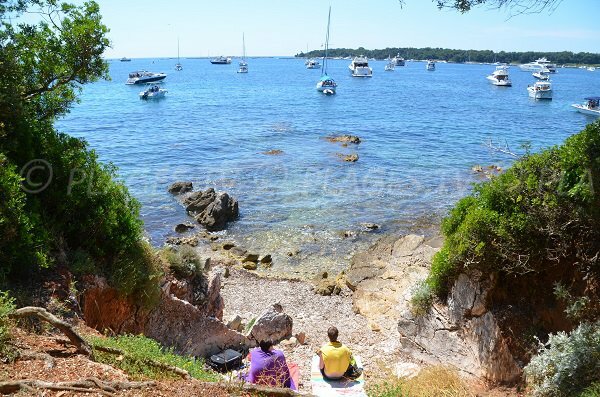 Beautiful view of the island of Saint-Honorat. 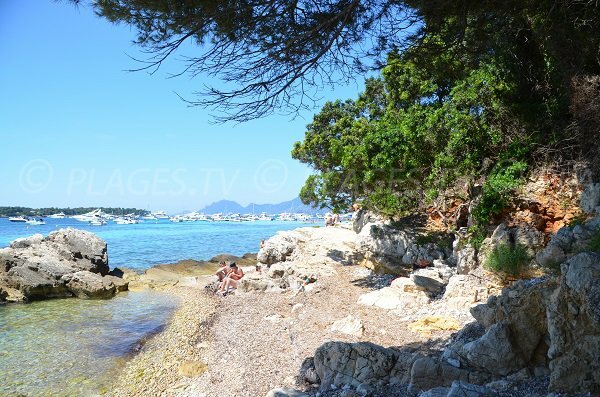 This third cove ois one of the most pleasant near the Grand Jardin. It is situated after the fence, just before an alley. It is easily recognizable thanks to staircases and its dock. Continuing toward the east, we arrive at a fourth cove. Narrow, we find little shade here. The property of the Grand Jardin is easily recognizable thanks to this stone wall.